... and it was @*$#ing awesome. Fair warning, if you’ve been around here for a long time, you know that when I share personal blog posts, I try to be as honest as possible about how I’m feeling - and that may include a few curse words here and there. The opinions I share about traditions here are solely mine and I definitely respect any bride's decision to find and follow the traditions that are meaningful to her. UPDATE: This post was written 3 months after our August 2017 wedding. As of April 2019, it is the most popular blog post that I’ve ever shared and the visitors to this post are almost 10x more than my next popular post. I want to take a second to express how important I think it is to make the decisions that represent your wants and wishes on your wedding day. This is your day - you’re using it to unite with your partner and share your love for each other with your friends and family. You are making promises and commitments to each other and your family that are so important and meaningful. I hope that you’ll feel that you can be supported in your wedding planning decisions, including who will walk you down the aisle (if anyone)! 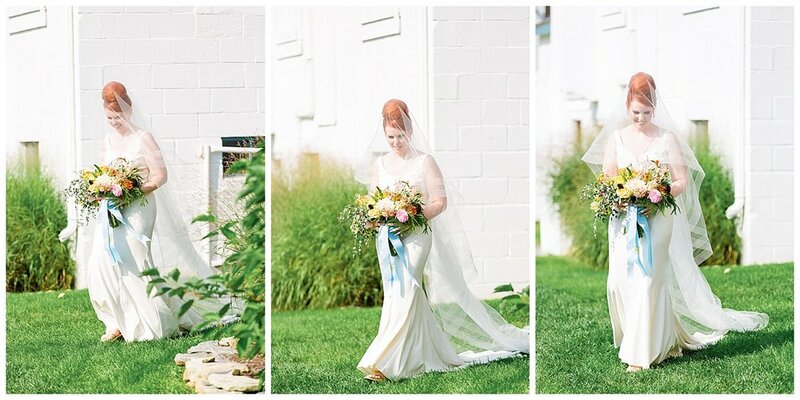 I would love to see more and more brides make the decision to walk alone in the future! 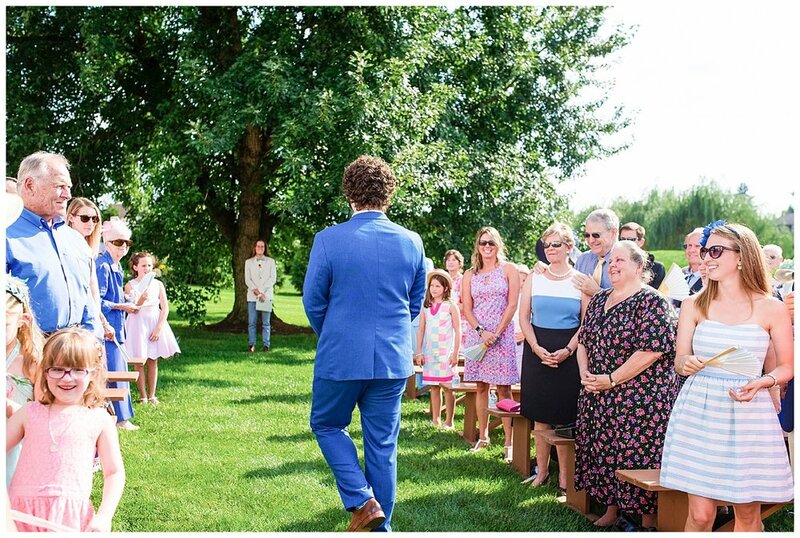 If there was one wedding planning decision that I was firm in from the beginning (even before we lived together and wedding planning was in the scope of reality) was the ceremony processional. I knew exactly how that was going to play out and I was very sure about it! I wanted to honor my grandparents because all four of them played a huge role in raising me and they still are a massive part of my life daily. I knew I wanted our grandparents to have their shining moment walking down the aisle and they did. They were followed by our parents, Kyle's brother and my cousin who represented my brother who passed away in 2010. Because we had no bridesmaids and groomsmen, our families made up the entirety of our processional! At nearly every wedding I photograph, the bride is walked down the aisle by her father or her parents. I love photographing those moments and for my brides, they are really special. AND IN MY HEAD I SCREAM. SHE DOES!!!!! SHHHHEEEEEEE DOOOOOESSSSSS. HER! Can we take time to consider eliminating that line from ceremony scripts??? My parents are amazing. I love them to pieces. I danced (badly) with my step-dad at the reception. I spent the entire morning with my mom. My decision to walk myself down the aisle wasn't really even about them. It was about Kyle and I entering into this marriage together which is why he walked down the aisle right before me instead of entering from the side. We both walked in solo and walked out together. I thought I would be really nervous and shaking as I walked in by myself but I actually felt like a badass. It's a very emotionally charged and adrenaline pumping moment. You're fully aware that you're about to take walk that you will only do once. That's one of the moments that I wish I could go back and relive. It helped that we waked down the aisle to the queen of feisty feminism, Cyndi Lauper, and my getting ready playlist was comprised mostly of Miley's Bangerz album. I have a big problem with the idea of someone "giving me away" to my husband but I do understand the history behind the tradition and the customs and beliefs of the families who did this for… centuries. We wanted our ceremony to be representative of all things us and there was no part of our relationship as two consenting adults that involved being given or needing permission. 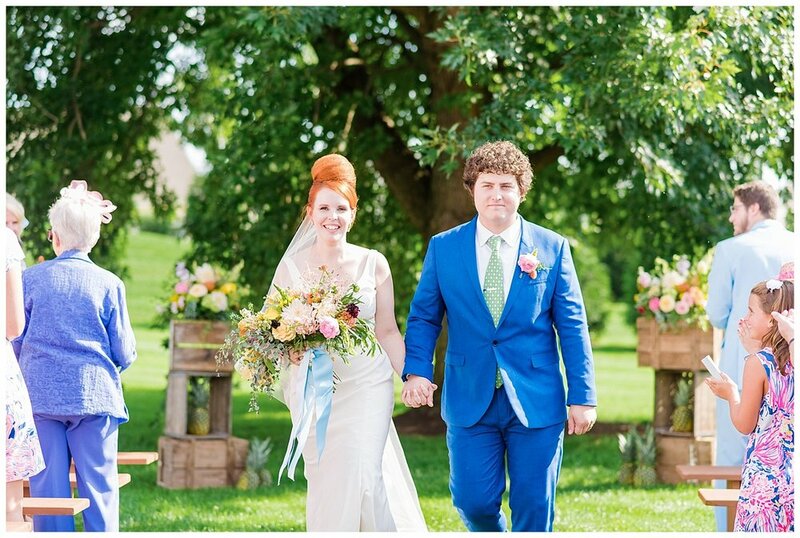 My decision to walk down the aisle alone wasn’t something I ever second guessed and Kyle fully supported it as well. It was empowering, it was a bit different, it was meaningful for us. I did go a bit traditional and choose to wear a veil and keep my face covered during the entirety of the ceremony. For me, this represented a little bit of a comfort barrier between me and the rest of the 200 people staring at me + it looks freaking awesome. I'm not sure if any of our guests were surprised by my decisions because it's pretty true to me. If you've considered walking yourself down the aisle, of course I highly recommend it. I'm a huge believer in finding the traditions that mean something to you and not just following antiquated rules because society says so.